If you come to Kendonya by a city bus, please take Bus No.5 South at Kyoto Station Central Exit. After taking a bus, please get off at "Inari Taisha Mae". When you get off a bus, there will be a real estate office named Hamaya Jutaku and you will walk straight towards Lowson and cross the street to get to Kendonya. 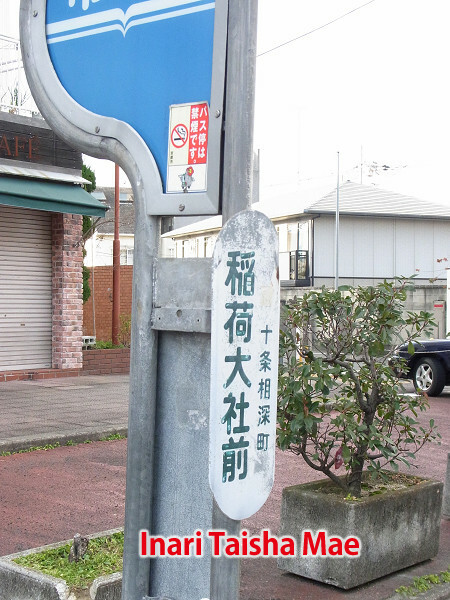 The name of the bus stop is "Inari Taisha Mae". 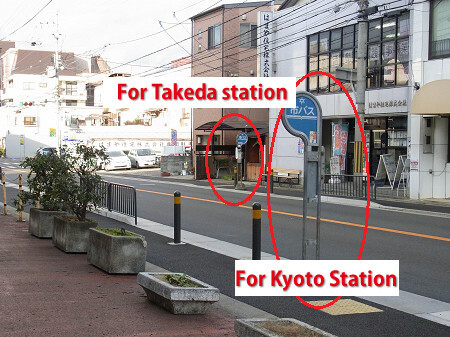 After eating at Kendonya, if you are going to Kyoto Station, there is a bus stop to the left of the restaunrant. The bus is only avilable once per hour and Kyoto Station is 7 minutes away if you can get on. The final stop is Kyoto Station Central Exit. It is very convenient. After taking a bus, please be sure to get off at "Inari Taisha Mae".